I'm hoping (guessing) that this is a quick-fix and that I'm missing something basic, but I've searched for quite a bit of time looking for a solution. I'm seeing my final render has the color grey in place of the assigned material, wheras all other non-extruded faces render fine. 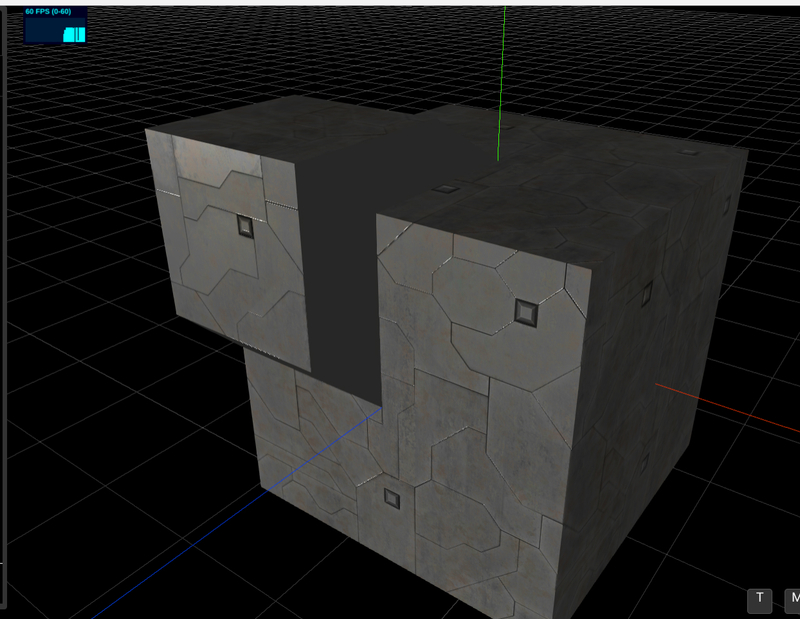 I'm learning the Clara.io interface, (along with the basic essentials of 3D modeling really), and have a basic cube with a few extruded faces. In the screenshot below you can see the normals of all faces, including the extruded ones. This is a result of Dr. Google saying "look at your normals, they're probably flipped". It doesn't appear so. You can see the grey faces. Try as I might, I can't get those faces to render using the same maps as the other faces. 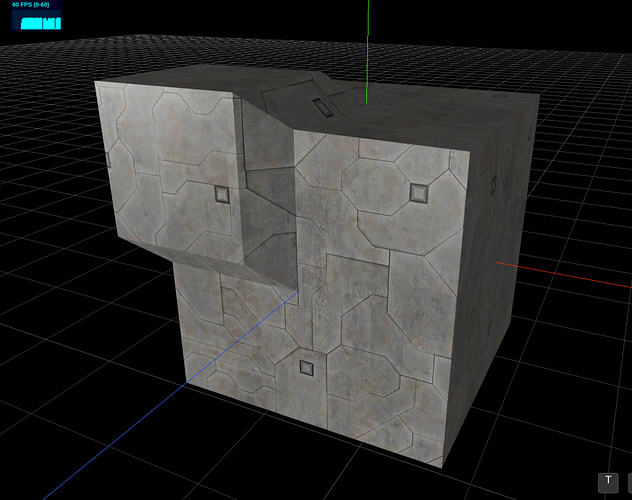 I've tried flipping normals, I've tried altering the material in ClaraIO, and a few other settings that were futile. Anyone see this before? Have an idea? Problem solved thanks to a comment @manthrax made on StackOverflow, (I posted this question there too). Hope it helps someone who is having the same issue.